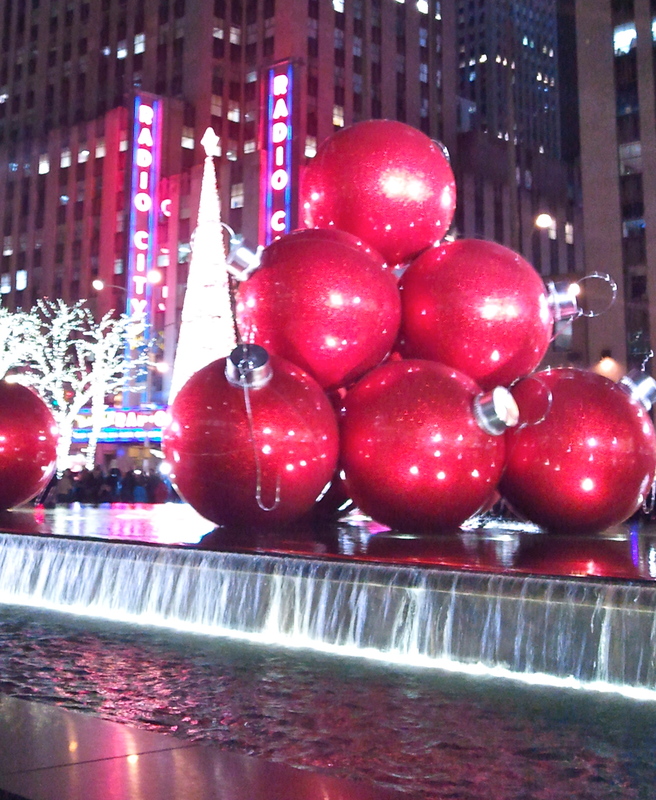 I ♥ New York City through all seasons, but the Christmas holiday is my favorite times to be out and about in the city. To borrow a line from the Rockettes, it is “spectacular”. I know Thanksgiving is next week and most of you are probably thinking can we at least enjoy the turkey and pumpkin pie before we start thinking about christmas carols and Santa? I know by approaching the topic I am just like the department stores that have been decorated with tinsel and lights for the past month, but I can’t help it because I am officially in the spirit since I spent part of the afternoon in the Bloomingdale’s Christmas Department on East 59th street this past Saturday. To be perfectly honest Santa arrives at the end of the Macy’s Thanksgiving Day Parade next Thursday, so it is definitely time to start getting in the Christmas spirit. 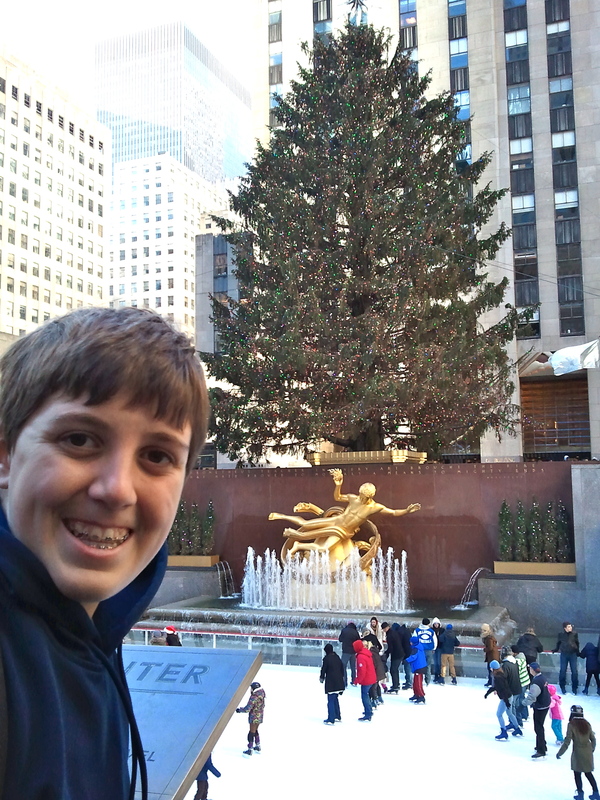 Here are my favorite picks to enjoy a family friendly Christmas in the Big Apple. 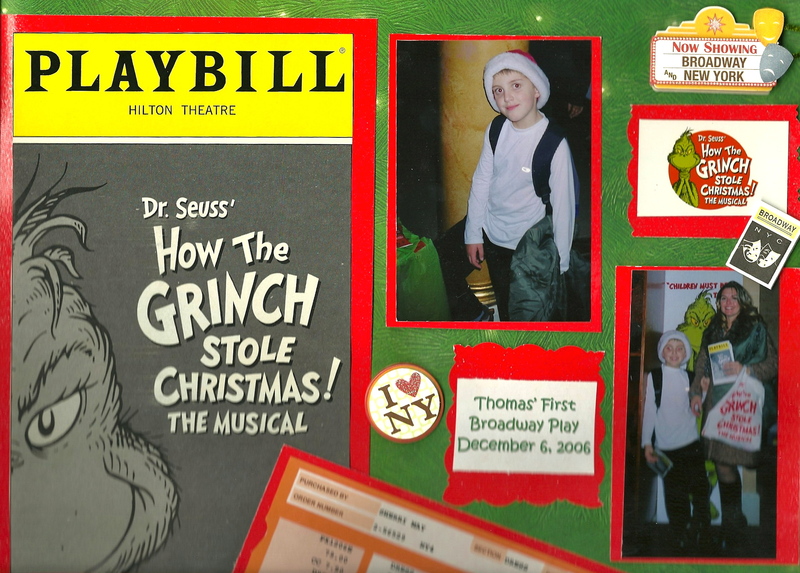 The first Broadway show I ever took my son to was Dr. Seuss’ How The Grinch Stole Christmas and is a must see if you have kids. If you want to add to the Dr. Seuss fun, make sure your family checks out The Grinch Holiday Workshop at the Children’s Museum of Manhattan. The interactive experience allows them to walk right into the scenes of the holiday tale. My son’s first Broadway Play … wow that was only 6 years ago, he was so little. This year there is also two other great musicals on Broadway which happen to be based on my favorite Christmas movies. A Christmas Story, The Musical brings Ralphie to the stage and Elf is back this year with Wayne Knight (Newman from Seinfeld) as Santa. If you are looking for a classical play and not a musical, A Christmas Carol is playing at The Player Theatre in Greenwich Village. Whatever show you decide to see, make sure you check for discounted tickets at theatermania, goldstar.com, playbill.com or broadway.com. 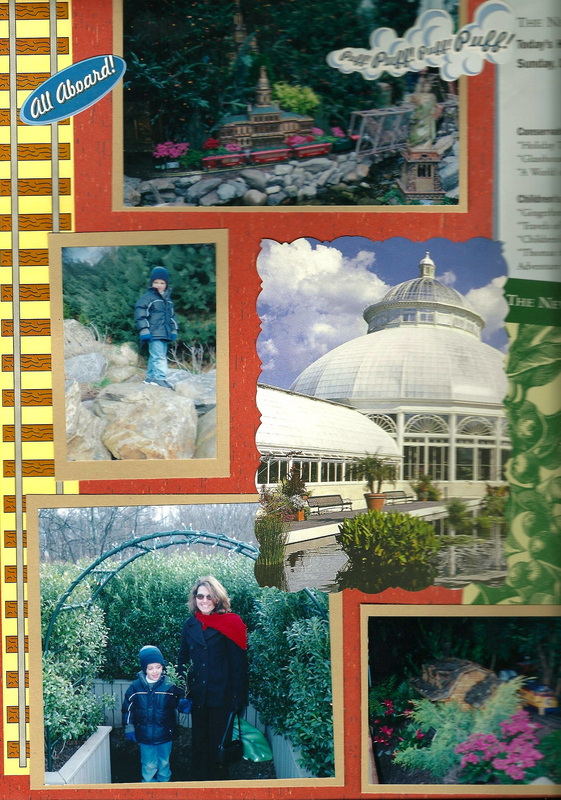 As you can see from the pictures below, it’s been a while since my son and I have visited the train show at the New York Botanical Gardens. He used to be fascinated with trains, specifically Thomas the Tank Engine. The Holiday Train Show has trains traveling through NYC landmarks like Yankee Stadium and Radio City Music Hall and the structures are made from all natural material like twigs, bark and pine cones. The Holiday Train Show when my son was three. The Holiday Train Show also offers special programs like puppet shows and rumor has it that Thomas and Friends™ will be making a special appearance. Another fun family event offered is the Gingerbread Adventures where kids can step inside a child-sized Gingerbread playhouse and they can decorate their own gingersnap cookie. There are a few places in the city where you can lace up your skates and hit the ice. If you want to brave the crowds, there is of course the most famous of them all, the Rink at Rockefeller Center. I personally would recommend Wollman’s Rink in Central Park or Citi Pond at Bryant Park. If you ice skate in Central Park, you will find yourself pretty close to the Le Parker Meriden Hotel. 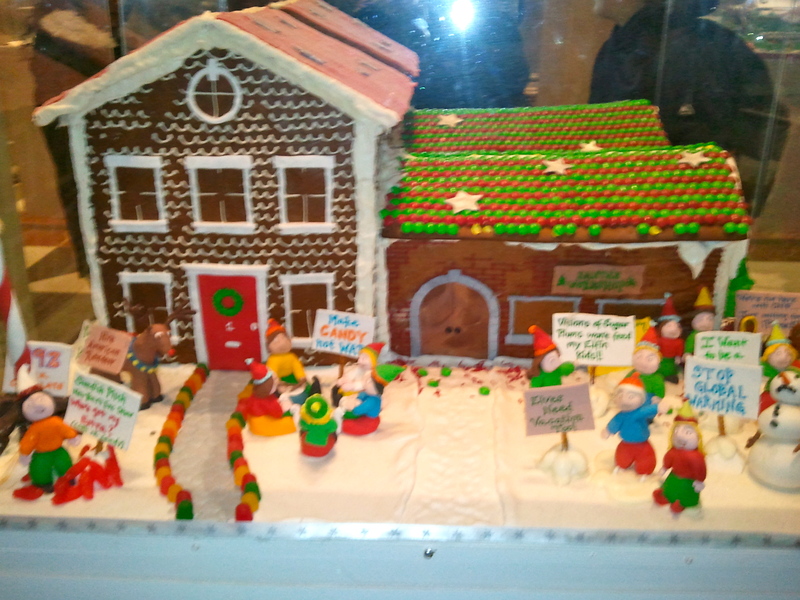 In addition to being known to serve one of the best burgers in the city, the hotel also is home to the Gingerbread Extravaganza. We went last year and the Gingerbread houses were amazing and all the proceeds support City Harvest, the world’s first food rescue organization. 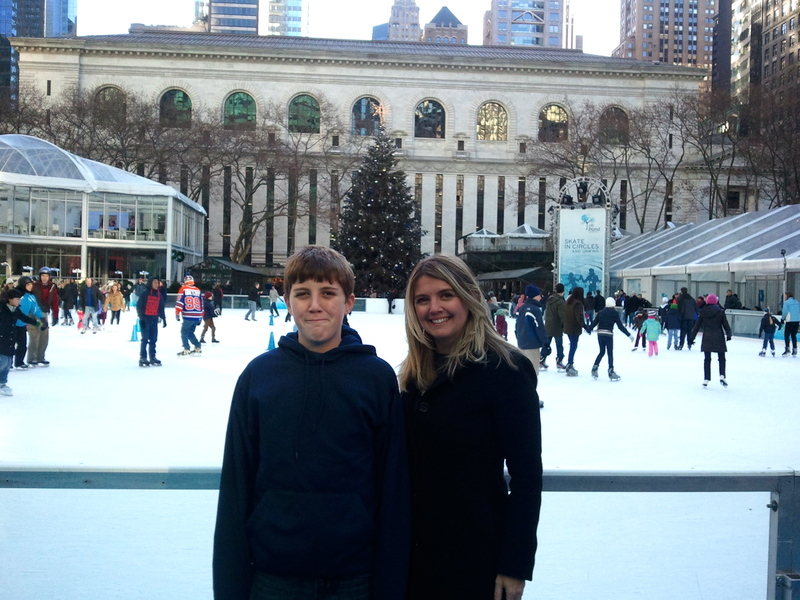 Last year we also went ice skating at Bryant Park. Like the rink in Central Park, it is much larger than the Rink at Rockefeller Center. The restaurant Celsius is also much more affordable than the restaurants that surround the rink at Rockefeller Center. 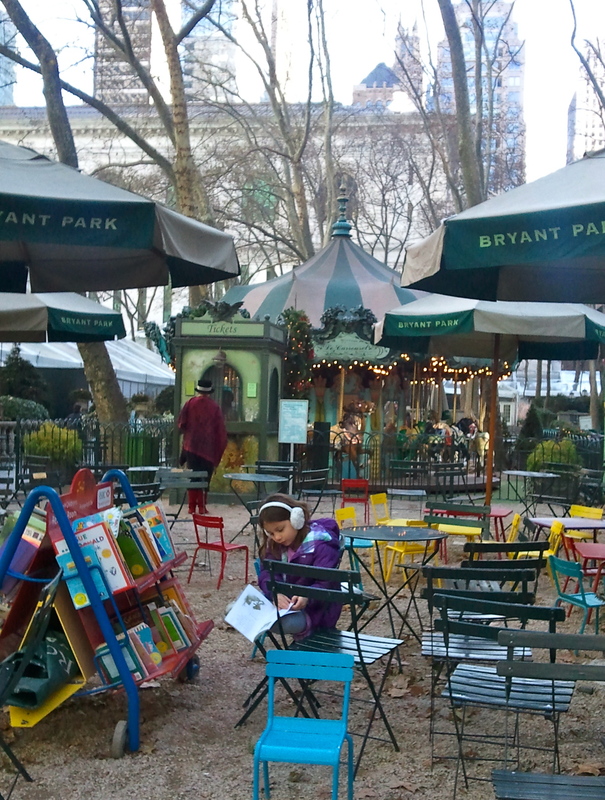 You will find that Bryant Park is like a winter wonderland with a hundred boutique shops and there is also a charming carousel for the kids to enjoy. There is one show that is synonymous with Christmas in NYC and it is the Radio City Christmas Spectacular: The Rockettes Celebration. This year marks the 85th anniversary of the show and if you have never seen it, make sure you put it on your things to do list this holiday season. Last year I took my god-daughter and even though it was a gift for her, it really was a gift for me when I saw her eyes gleaming when she watched the show. 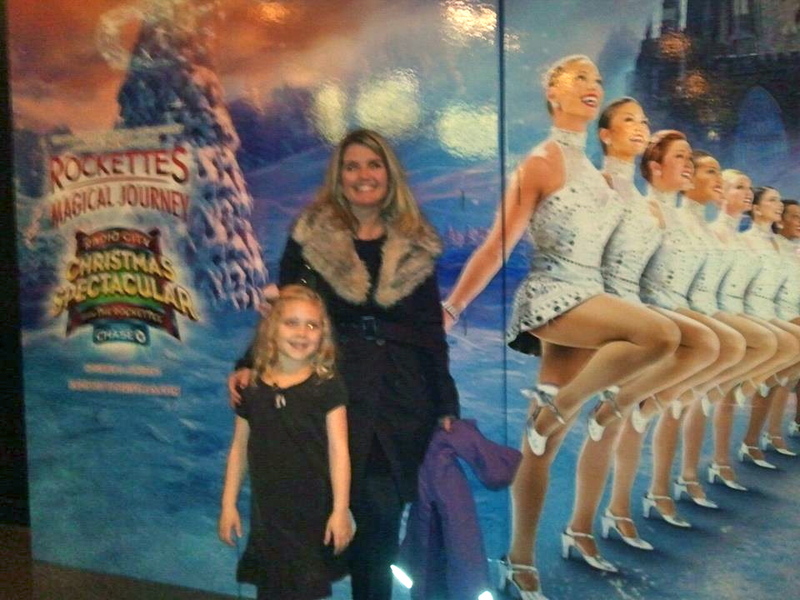 Last year at the Radio City Music Hall Christmas spectacular. For as long as I can remember (at least the twenty years that I lived in New York), the New York City Ballet performs George Balanchine’s The Nutcracker™ at Lincoln Center as a limited engagement over the holidays. I went many years ago, with a date that didn’t realize that there was no dialogue in a ballet. That memory still makes me laugh, but I also have fond memories of being delighted that I was seeing one of my most favorite ballets. 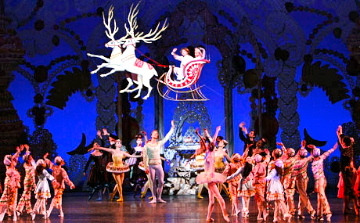 Even though it has been a while since I’ve seen the performance, I am willing to bet that anyone who loves the ballet will enjoy the dancing snowflakes. After the Thanksgiving parade is over, Santa spends the holiday season on the 8th floor at Macy’s Herald Square on 34th Street. There you will find Santaland® which is a Christmas Village with twinkling lights, candy canes and snow-capped mountains and of course lots of holiday goodies. There is no better place to sit on Santa’s lap and whisper in his ear your wish list. One of my favorite pictures of my Dad. 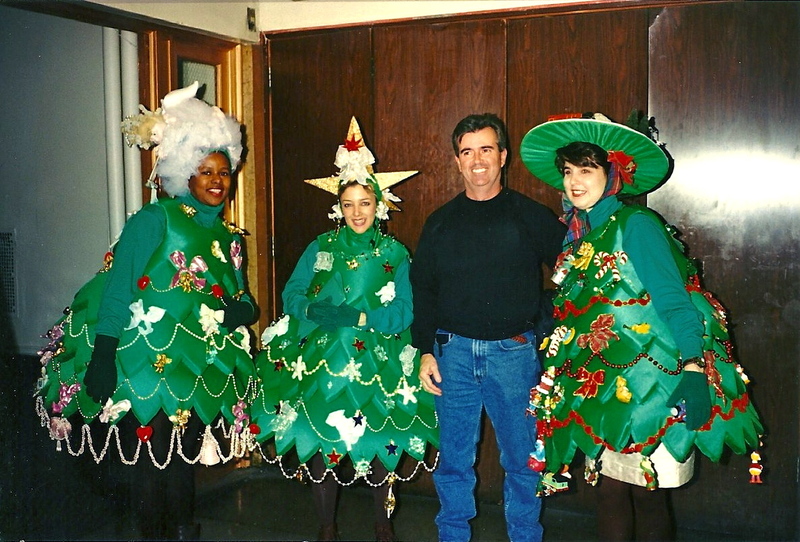 This picture was taken in Santaland at Macy’s in 1994 proving that Santaland is not just for kids. Also on the 8th floor is Macy’s Puppet Theatre. Here your little ones will be able to enjoy Miracle on 34th Street..at Macy’s. This 30 minute musical will delight all ages and your family will definitely leave in the Christmas spirit. Before leaving, make sure you check out Macy’s famed window display. It has been a tradition since the early 1870’s. With the most windows of any department store in the city, I am sure there will be a window display that will appeal to every member of your family. Have you been to New York City for Christmas? What is your family’s favorite tradition?